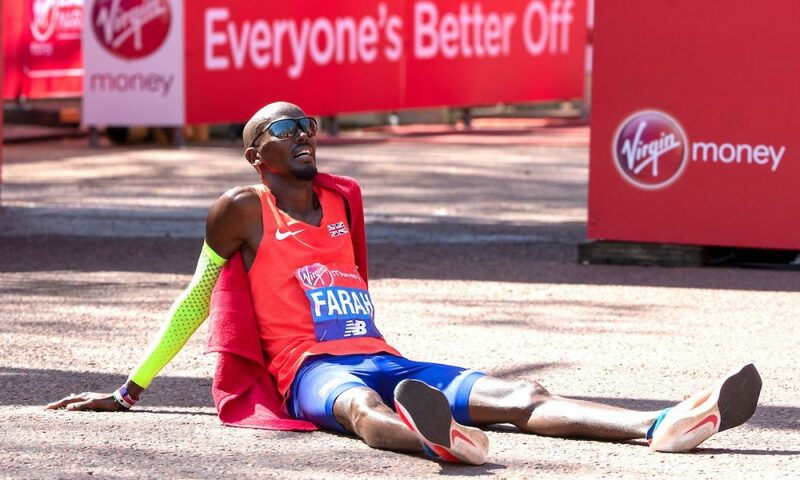 Marathon royalty Kipchoge won the 2018 London Marathon on Sunday (April 22), while Farah smashed Steve Jones’ record. Pre-race favourite Eliud Kipchoge fought off a loaded men’s field as he stormed to his third London Marathon win in 2:04:17, while Mo Farah ran a superb race to finish third in new British record time of 2:06:21. 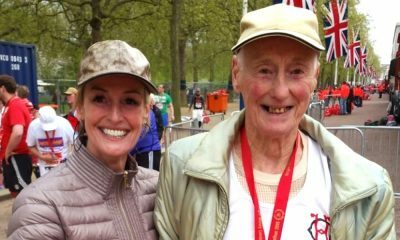 With Farah, Olympic champion Kipchoge, Kenenisa Bekele and Daniel Wanjiru all on the start line, plus the depth of athletes behind them, organisers assembled the greatest field ever for a men’s marathon, and while the world record is unharmed, it was an enthralling and exciting battle in the UK capital. The race started at a furious pace with the lead group running under 2-hour marathon pace up to 10km and by halfway this dropped to 61:00, but still on course for Dennis Kimetto’s 2:02:57 world record. Throughout the first half of the race four-time Olympic gold medalist Farah had mishaps at the drink stations and appeared to be unable to identify his own – causing confusion. As the second half progressed, and the temperatures increased the pace was no longer fast enough to break the world record. 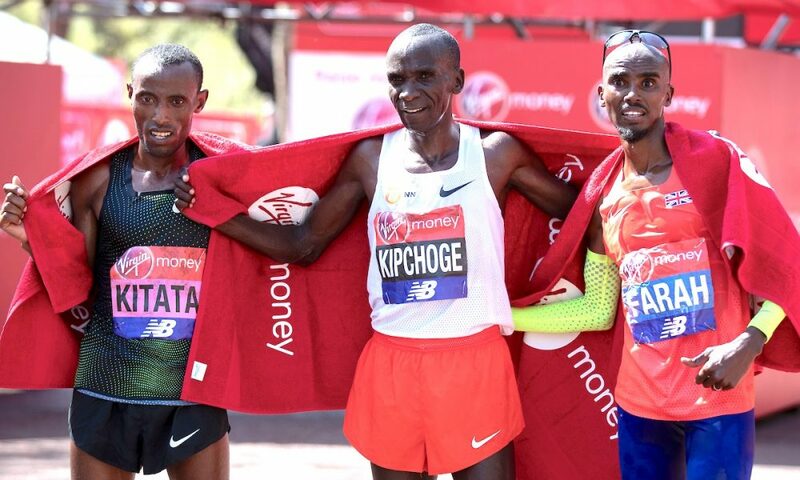 The front of the race was down to three leading men; Kipchoge in front, with Tola Shura Kitata on his shoulder, with Farah adrift on his own in third, but still running both British and European record-breaking pace. Kipchoge, as always appeared calm and assured and as the race reached the Embankment with two miles to go the man regarded as the best marathoner of all-time turned the screw on Kitata and opened up a significant gap on the Ethiopian. Kipchoge maintained his lead and crossed the line in 2:04:17 to clinch his third title in London and his ninth win in 10 marathons. Kitata took second in 2:04:49, with Farah, competing in his second marathon, clocking 2:06:21 to break Steve Jones’ long-standing British record of 2:07:13 set in 1985. “These guys went for it, for the world record,” said Farah after the race. “It was do or die and I had to hold on as long as I could. “I’m satisfied with the result. I can’t do any better than what I did. I got a personal best and I fought as much as I could. Eliud is a great marathoner who has more experience with the marathon, and today is one of those things; you be a man, fight like a man, or start off in the back and regret it later on. I fought as much as I could. 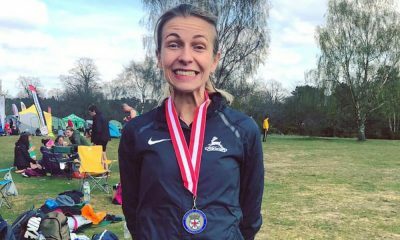 “After 30K, I was definitely feeling it; the pace slowed down a bit and I was tired but I managed to hang in there and come away with third. The second fastest man ever Kenenisa Bekele finished sixth in 2:08:53 and 2017 London champion Daniel Wanjiru crossed the line in 2:10:35 to finish eighth. 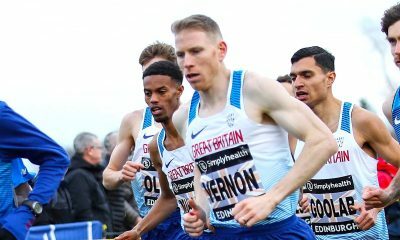 Irish athlete Stephen Scullion finished 12th running a big two minute PB 2:15:55, while Britain’s Jonny Mellor struggled in the heat and came home in 14th place in 2:17:55. Matt Clowes, making his marathon debut, struggled in the second half of the race crossing the line in 2:43:16. 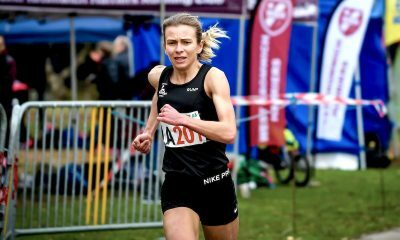 A full report on all the British performances will follow. Vivian Cheruiyot was the surprise winner of the women’s crown, as Mary Keitany and Tirunesh Dibaba both faded in their attempts to break Paula Radcliffe’s record – a full report of the women’s race can be found here.